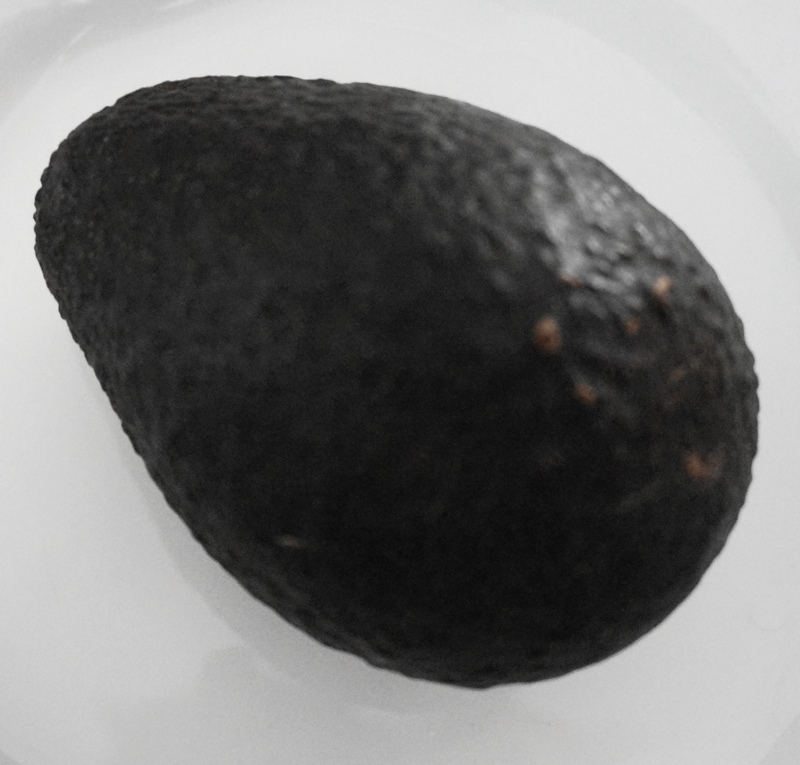 I am humbled by the quiet fortitude of the unassuming avocado. Wrinkly, greenish-black/brown in colour, it’s not the most attractive fruit in the bowl. Crack this baby open, and a wonderful, creamy, pale green flesh emerges. Knock on the center seed with the sharp side of a knife, twist, and out it comes. Grab a spoon – no need for a bowl; the avocado skin is a container unto itself – and enjoy the buttery contents. Deliciousness aside, the avocado is an incredibly nutritious addition to your diet. Not only does it supply the 18 essential amino acids needed to form a complete protein, it is also very high in fiber. This means that it is easy to digest, and a great feature in a meatless meal. Some folks are afraid of the fat content of avocadoes. Don’t be. Avocadoes contain heart-healthy fats that help boost levels of HDL cholesterol(what we have dubbed the ‘good’ cholesterol). HDL cholesterol protects our bodies against free radicals and helps to regulate triglycerides, very important in the prevention of diabetes. Avocadoes also supply us with an excellent dose of carotenoids. This equates to a super surge of quality vitamin A, offering great protection for the eyes, and enhancing both immune and reproductive systems. Ladies – avocadoes are your beauty friend! While you’ve likely heard of using avocado externally in various masks for face and hair, actually eating this fruit is the real deal. If you want soft, glowing skin and hair, the avocado should become a daily wonder food for you. Its high level of antioxidant compounds protects your skin from wrinkles and damage from sun, smoke and pollution; the excellent fiber content helps move waste through (and out of) the body; and the monounsaturated fats provide welcome moisture. So how do we eat avocadoes – other than ‘straight-up’? First of all, do follow the old adage that moderation is key. 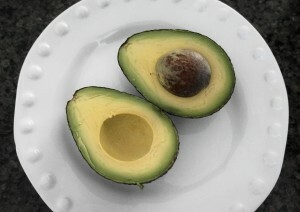 Likely, a serving of half an avocado a day is sufficient for most, keeping an eye on overall fat consumption for the day. I typically eat one-half to a whole avocado daily – but I am always conscious of my overall fat content. If it’s a day fraught with nuts, seeds and some animal protein, I may lean towards one-half of an avocado. Mix mustard, lemon juice nutritional yeast, stevia, sea salt, pepper and add onion and celery. Stir well. To assemble: lay a nori sheet on plate. Add slice of avocado, pile with ‘goop’, tomatoes and sprouts. Fold, burrito-style (bottom up, sides in). Caution – lean over plate to eat as these are crazy-messy!